CollegeBudget is a collective buying platform exclusively for college students. We seek to drive real change in the costs associated with being a college student. Today we focus on huge discounts on things like trendy clothes, food & electronics. We also focus on saving students money on the big purchases, like textbooks and student loans. Tomorrow, with enough support, we aim to even collectively drive down the costs of tuition! Looking to reach college students? at no up-front cost, helping companies large and small build a fresh and loyal following. What's the catch? Nothing really, just give students a great deal. For more, visit CollegeBudget for Businesses. CollegeBudget is years in the making. Before CollegeBudget, our team built CampusBuddy.com into one of the largest social academic sites on the internet with over a million members. In 2010, CampusBuddy won America's Best Young Entrepreneurs by Bloomberg Businessweeek. Now the team is utilizing those same entrepreneurial juices to revolutionize student discounts and save students a ton of money. 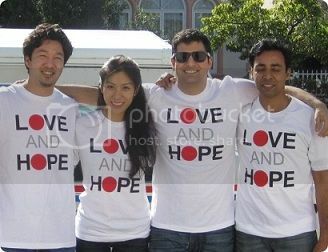 Red Cross Japan Tsunami Relief effort. See more. CollegeBudget is made by people who care about students. The hunger call of ramen noodles and, sleeping in the library, and digging through change for a meal is not a distant memory here. We are people looking to help college students make the most of college! So go forth and enjoy CollegeBudget with pride.